The Ragdoll cat is a contemporary breed, emerging only in the 1960s. It is the result of the crossbreeding of a feral white Angora feline with other long-haired cats having Siamese point patterns. This kitty takes its name from its tendency to become limp when picked up. It is a big boned, strong cat with an equally powerful charm. Its puppy-like ways make it endearing to its owners. It is known to follow its human from room to room and even wait on one’s heel. It is friendly, calm, playful, and good with children, making it a great family pet. It is also a good choice for first-time cat owners. It has very few health issues and its coat does not require much maintenance. The origin story of the Ragdoll is a curious one. A breeder from California, USA, Ann Baker, noticed that a neighbour’s cat changed after a road accident. The said feline, possibly a feral white Angora cat named Josephine, became more docile and good-natured after being treated at the animal hospital. The kittens she produced post-accident were noticeably calm and sweet, unlike those that she had before the incident. Baker then borrowed Josephine and bred it with a seal point Birman cat. Then, a male kitten of the litter was bred with a Burmese. In 1963, the Ragdoll breed was born. The eccentric Baker then went on to trademark the name of her new creation. She required all who wanted to breed Ragdolls to register for a franchise under her International Ragdoll Cat Association. Baker then required Ragdoll cat breeders to register kittens for a fee. This and other similar events led to a variety of court cases that ended in the dissolution of the franchise. In 1975, Denny and Laura Dayton quit the group and bred their own Ragdoll cats. The couple eventually created the standard for this cat breed, which has since been recognised by the CFA and FIFe. It was in 1981 that the first of this new type of feline arrived in the UK. A Ragdoll Breed Club was then started in 1987 and was acknowledged by the GCCF by 1990. The charming cat breed flourished and became popular in the UK. Today, the Ragdoll is among the most favoured cats due to its gentleness and loveliness. The Ragdoll cat size is large due to its big bone structure. It can be three times the size of other types of felines. It averages 10-20 lbs and has a powerful body, which belies its sweet and easy-going nature. The females are smaller than the males. This attractive feline has a broad head that is rather flat in between the ears. Its muzzle has a level bite and a moderately lengthy nose that has a mildly turned up tip. The eyes are one of the most striking physical features of this breed. They are oval and are an intense shade of blue. Among white Ragdolls, the eyes may be blue or mixed. The cats with only one blue eye are reportedly deaf on the side of their head that has the blue eye. The Ragdoll’s body is long, muscular, and strong, with a wide chest and big hindquarters. The legs are moderately long ending in large tufted paws. The tail is bushy, tapered, and long. This kitty’s coat is medium-length and dense, although easy to care for. Silky to the touch, the Ragdoll’s coat is pointed like the Siamese. It can also be mitted, where the paws and abdomen are white. There also are bicolour ones, with white legs, white tummy, white patches at the back, and a white inverted V marking on the face. The recognised coat colours are cream, seal, chocolate, blue, lilac, red, tortoiseshell, and tabby. The Ragdoll’s coat is easy to maintain. Brushing it one or two times every week is enough. It is not unusual to find this cat breed relaxing on the floor with legs splayed. The Ragdoll cat is laid back and calm—attributes that are most loved about this kitty. Friendly, loving, gentle, and dog-like in its ways, this kitty loves humans and is fond of children. It can also live with other pets. As such, it makes a wonderful family pet. It is also a suitable feline for first-time cat owners. Being a big breed, the Ragdoll takes longer to mature. It will retain its kitten-like ways until the 5th year. It loves to play and will go limp like a ragdoll when picked up, which fascinates owners to no end. It will greet people at the door and will follow its humans around the house. As such, it does not do well being left to its own devices, especially for long periods. 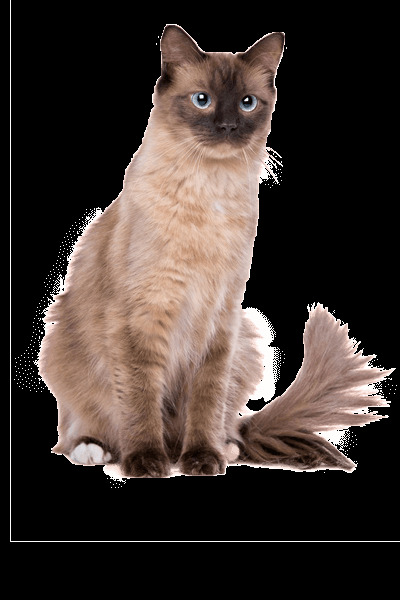 To keep a Ragdoll healthy, it should be provided with a high-quality diet that has the nutrients it requires. It should be consistently fed with the same food. Changes to its diet and feeding schedule must be done gradually to prevent digestive problems. 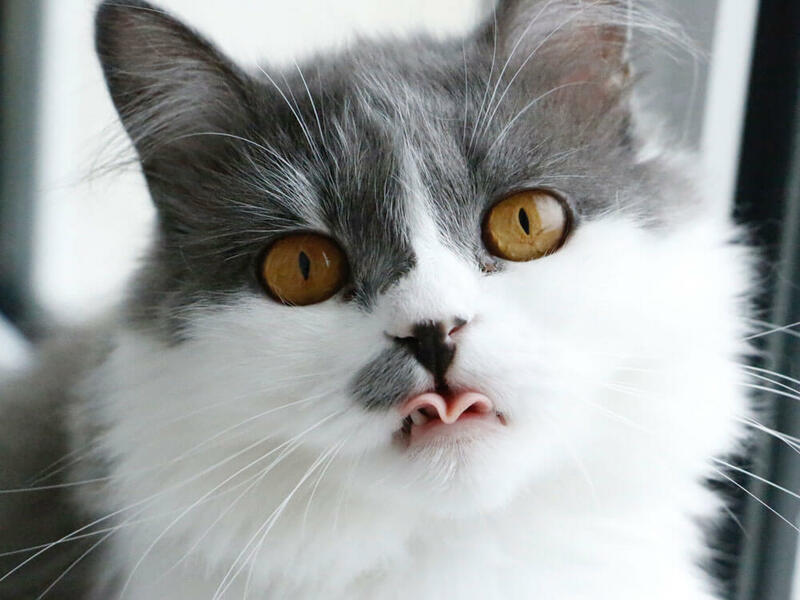 Offer small frequent meals to the Ragdoll cat to keep it healthy. The serving size should depend on its weight, age, and activity level. The Ragdoll is a moderate-energy cat and should be kept indoors. It does not need to be exercised as much as other felines. It enjoys a game of fetch and a good scratching post. Expect to spend £400-700 for one of those well-bred Ragdoll kittens. Insurance costs would reach £12 (basic) to £22 (lifetime) a month. Prepare to spend about £20-£25 monthly for food. For vaccinations, boosters, annual checks and other veterinary costs, pet care costs may add up to more than £600 a year. It is estimated that the Ragdoll owner will spend about £40-£60 per month. The insurance costs can also leave an impact on the expenses. For its lifetime (15-20 years), the costs can be as low as £7,200 to as high as £14,400 annually. This range does not include the expenses incurred in buying a kitten. Is a Ragdoll Right for You? The Ragdoll cat is a gentle, laid-back, and loving breed that is gentle with children. It has a rather puppy-like personality and can be found waiting at the feet of its human. Its propensity for attention and human company means it does not do well when left alone. It is a great pet for families and first-time cat owners. Its coat, although a bit on the longer side, is easy to care for. It sheds moderately. The Ragdoll has no hereditary issues observed yet. It is a strong and sturdy breed.